I visited Orchha for the first time and it figures that tourist arrivals in Orchha have consistently been going northwards for the last few years. For orchha one can go by surface or by train to jhansi and from jhansi by surface to orchha which is approx 22 kms away. Khajuraho, the World Heritage site, 170 km from Orchha, is no doubt more famous, and does boast of higher numbers of overseas visitors but Orchha is fast catching up with it. The reason for Orchha’s emergence as a stand-alone destination is not hard to guess. A typical Bundelkhand village of no more than 5,000 people, situated, rather unobtrusively, on the Jhansi-Tikamgarh road, Orchha’s dream-like landscape features narrow gates, fort-like temples, grand palaces housing vibrant murals of the Bundela School of Painting, and perfectly symmetrical chhatris standing by the happily gurgling boulder-strewn river Betwa. The heritage structures were all built between 1531 and 1627 AD by the Bundela Rajput Kings, known for their valor and virtuosity. The monuments that dot Orchha’s rural landscape include Jehangir Mahal, Raja Mahal, Chaturbhuj Temple, Ram Raja Temple, Laxmi Narayan Temple, Rai Praveen Mahal, Diman Hardaul’s Mahal, Phool Bagh, and Sundar Mahal. Its hilly terrain, interspersed with numerous view points also offers exciting possibilities for eco-tourism activities like camping, jungle-treks and mountain-biking. Much has already been written about Orchha’s fascinating structures. I shall, therefore, focus on some of the interesting developments which have taken place recently, adding value to the touristic experience of this unhurried and unspoiled central Indian town in the country’s rural hinterland. River-rafting activities were introduced by Madhya Pradesh Tourism a couple of years ago. Orchha Scenic Float is a Rafting Safari that covers a total distance of 8 km, commencing from the Kanchana Ghat and winding down under the low-lying bridge through several thrilling rapids onto the Shiv Ghat, 3 km away. 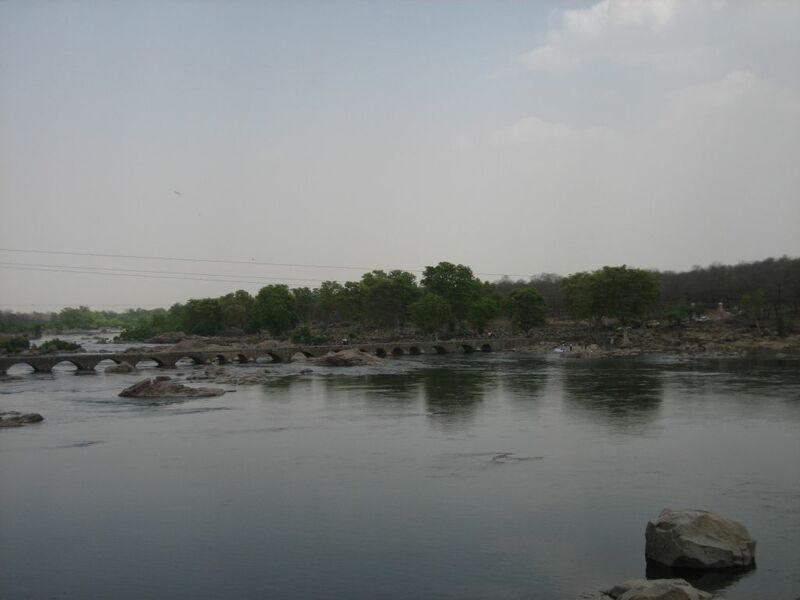 Soon the Betwa is joined by the Jamuni River, resulting in more water volume, faster speed and even more thrilling rapids. The fact is that Rafting in Betwa is seasonal and totally dependent on the volume of water in the river. Moreover, one can easily stop the raft and visit the many rocky islands, dense mangroves and tiny beaches dotting the entire stretch of the safari. Last but not the least, and perhaps most importantly, the positive developments on the infrastructure front at Orchha are worth mentioning. The approach road that links the town with the Jhansi-Khajuraho road has been upgraded. So, the intersections link the royal complex of Jehangir, Raja and Sheesh Mahals; and the chhhatris. On the hotel front, while Amar Mahal and Orchha Resort cater to the up-market tourists, Madhya Pradesh Tourism’ Sheesh Mahal and Betwa Retreat continue to offer great value for money experiences. While the delightful Sheesh Mahal has recently been categorized as a Heritage Hotel, the Betwa Retreat has been categorized as a 3-star property. Contact Shanti Travel to know about our other destinations in Madhya Pradesh !